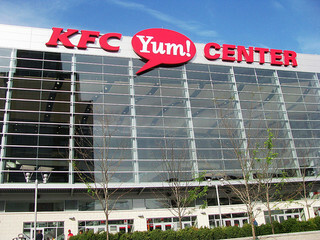 When it comes to arenas that rock, KFC Yum! Center not only rocks the music venue with top, highly-sought after artists, but it also rolls out the red carpet to the University of Louisville men's and women's basketball team and its massive host of fanatical spectators. Built in 2010, the 22,090 seat, $238 million arena, home to the University of Louisville Cardinal basketball teams, was recently voted as one of the top 10 Venues that Rock, by Rolling Stone magazine. Not only do last year's NCAA hoops champions call the Yum! Center home, but a full slate of big-name music headliners, including Taylor Swift, The Eagles, Carrie Underwood, Justin Bieber, and Bruce Springsteen have also graced the impressive stage of the Yum! Center, captivating long-time fans and rocking out the multipurpose facility. Nestled on Main Street between 2nd and 3rd Streets, the backdrop of the Ohio River accentuates the glass facade of the building, along with the wavy interior ceilings and randomly splattered art which give it an inviting and modern feel. As the fifth largest college basketball arena in the nation, this facility displays modern technology at its finest. 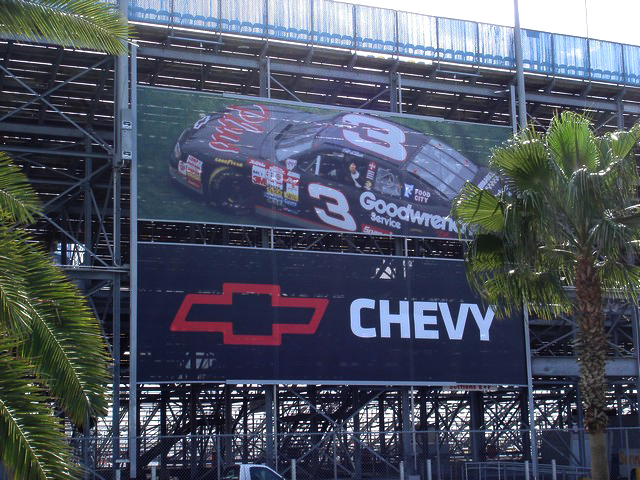 Developers integrated a scoring and video display system, which includes large LED video displays within the seating area, professional grade LCD screens, and a powerful control system. Former Courier Journal and Sports Illustrated writer Billy Reed says that the arena "was about providing every element of the city's culture — men and women, black and white, business and labor, rich and poor — with the opportunity to participate in a project that will revitalize the city's downtown and make the city a viable option for national tournaments and conventions, as well as the biggest show-business acts in the nation." "It's a story of how Possibility City turned a dream into a magnificent reality," says Reed, who believes the center is a "blueprint for how a public project should be funded, planned, and executed." Follow our continuing spotlights on stand-out arenas around the country and find out how Toadvine Enterprises can help you plan a rocking facility for your organization.